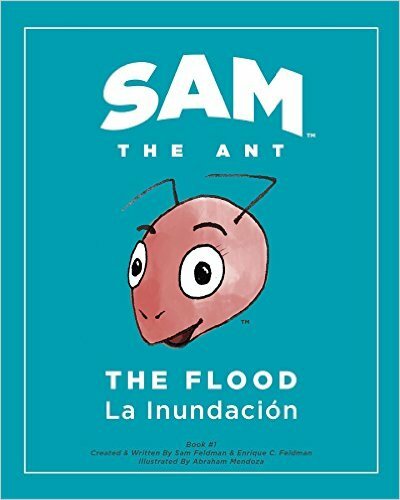 This month’s book takes us on an exploration of shapes as we journey through a community in Mexico. 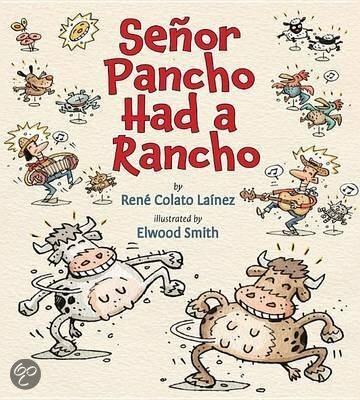 Each page features melodic rhyming text by Roseanne Greenfield Thong, while the illustrations by John Parra portray beautiful scenes filled with lively music, delectable food, loving families, vivid colors, and of course, shapes! Round are tortillas and tacos, too. Round is a pot of abuela’s stew. I can name more round things. Shapes can be found every day and everywhere in the environment. Round is a Tortilla will inspire you and your child to discover shapes in your own community! Invite your child to go on a shape hunt with you! If possible, allow your child to have tactile experiences with 3D shapes found in your home. Play a game of I Spy! What shape is a paper towel roll? A cylinder! Look through the circle on the end, like a spyglass, and look for more shapes! Encourage your child to say the I Spy rhyme and tell you about the shapes they find. Discover shapes together in the kitchen! Circles can be found in plates, cups, and tortillas! Are there rectangles and other shapes hiding inside the cabinets? Ask your child, what does an oval look like? What does an oval feel like? Let your child hold an egg and find out! Little tortillas for my mom. Little tortillas for my dad. The little crispy ones for my mom. The little round ones for my dad. Activity 1: Look for shapes in the illustrations! 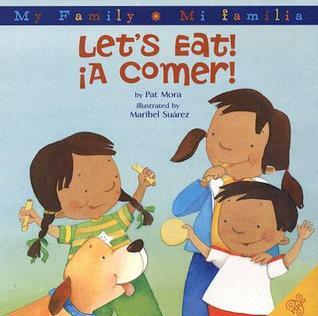 Before opening the book, show the cover and read the title, Round is a Tortilla; ask your child, “What do you see on the cover?” As you read the book, use a sing-song voice to emphasize the rhyming. 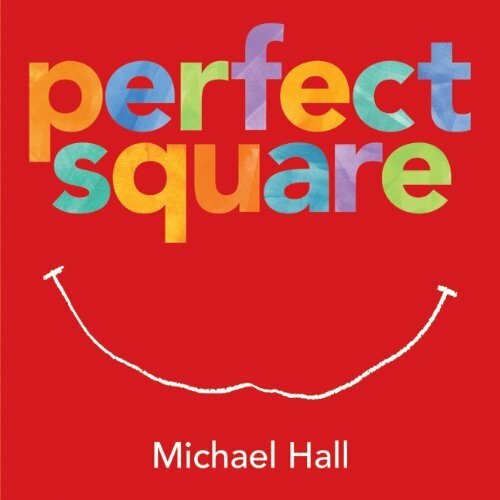 Activity 3: Discover more books about shapes at your local Pima County Public Library! Activity 1: Shape Sorting! 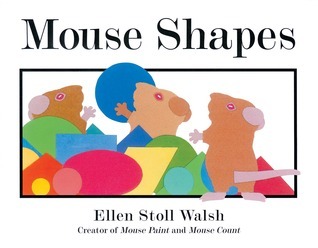 Invite you child make a mess and play with shapes! Cut out soft shapes from felt, foam, or fabric. Toss the shapes in the air and let them fall to the floor, or just spread them out on the floor. Exclaim, “OH NO! Our shapes are all mixed up! Will you help me sort out this mess?” Encourage your child to sort out the shapes and put them in individual piles. Then, put the shapes into an empty shoe box, or paper bag. Play again, but this time, let your child toss the shapes in the air! Activity 2: Dance the Hokey Pokey! Instead of using body parts, use the 2D shapes from the shape sorting game to dance the Hokey Pokey. Put your rectangle in. Put your rectangle out. Put your rectangle in, and shake it all about! Activity 3: Go on a Shapes Picnic! 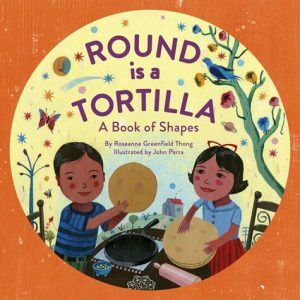 Food is an important feature in the book, Round is a Tortilla. In the story, shapes are found in some of our favorite foods! For example, delicious watermelon and quesadillas are cut into triangle slices! How many different shapes can you eat? If the weather is nice have a picnic outside! If it’s still too hot outside, have an indoor picnic! Let you child contribute ideas for snacks that come in their favorite shapes! Send a video of you sharing the book together, or playing I Spy Shapes. Send a picture of you and your child on a picnic eating delicious shapes! Be creative! We can’t wait to see what you loved about Round is a Tortilla!